John Vanderslice "Break Those Coins"
John Vanderslice is among those included in Polyvinyl's "4-Track Singles Series," and the label has now shared one side of the songwriter's 7-inch with "Break Those Coins." The song is anchored by a lo-fi drum machine. This is overlaid with dramatic piano chords, understated vocal prettiness, and some experimental electronic squiggles. 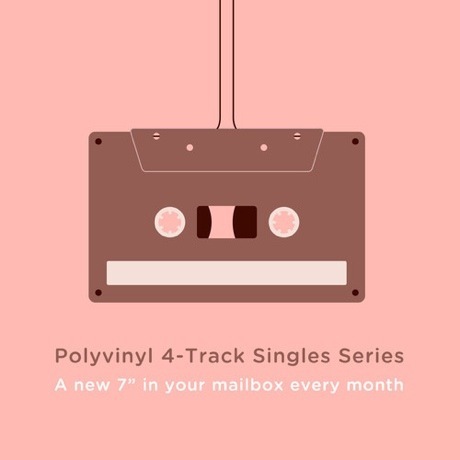 Polyvinyl tweeted that the song will be up for one-day only, so fans will want to act fast by streaming it below. The 7-inch series also features Cloud Nothings, Porcelain Raft, Mikal Cronin, Hospitality, Thao and the Get Down Stay Down, and other. It's available to purchase here.